Trying to make a big life decision? 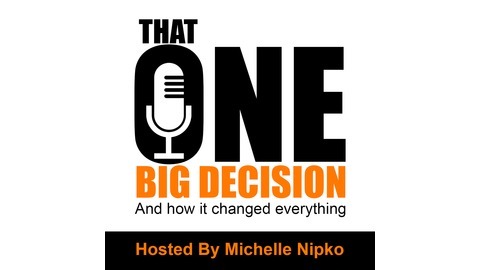 That One Decision Podcast is for you! 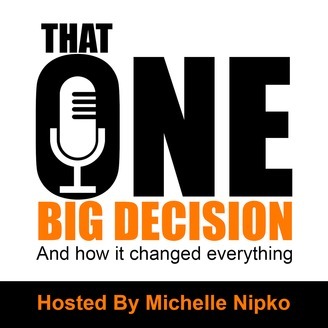 I talk with real people about the One Big Decision they had in their life, what they chose and the real outcome. We are all on this journey called life….let’s learn from each other. You can find me on Instagram at @ThatOneBigDecision. Dr. Kevin Hoffarth and I discuss all of those questions you’ve wanted to ask your Doctor: Why did he become a doctor? What’s it like to be a doctor? Is the current health care system broken from a doctor’s perspective? And we discuss his One Big Decision to become a functional medicine doctor, and change the rules of healthcare. The post Doctor is HEALING patients by changing the rules of healthcare: Hear Dr. Kevin Hoffarth’s One Big Decision appeared first on That One Big Decision.